The HuffPo* article posted below lays bare the real agenda behind the Paris false flag terror attacks. Just like what occurred throughout the USA in the wake of 9/11, the conditions in Paris are ripe for the globalist cabal to literally impose their New World Order on the world community of nations. Clearly, Paris provides neither a safe place nor an hospitable environment to conduct the people’s business. As a matter of fact, the conditions are quite similar to New York City and Washington D.C. right after 9/11. That was when the same ruling elites foisted the draconian Patriot Act and Stasi-like Department of Homeland Security on the American people. Is this not a replay shaping up in Paris during this November and December of 2015? Only this time the far-reaching and devastating ramifications will be much, much greater … for every single resident of the planet. Very few are aware that the false flag operation in Paris was actually designed to facilitate their hidden agenda during the upcoming Paris Climate Conference. Even though France immediately executed war plans against ISIS in Syria, that was a deliberately contrived red herring. The real prize has been the newfound ease of manufacturing consent for global legislation and taxing authority at the Climate Summit on December 6, 2015. The surgically precise execution and timing of the Paris terror attacks on Friday the 13th have created a fastidiously engineered climate of fear in France and around the globe. It is this perfectly sculpted environment which will be used to intimidate and threaten the attendees of the climate conference to agree to what is essentially a new One World Government. Therefore, it is critical that the people of the world let their national climate change reps know that the Paris-controlled process MUST be thwarted, if not aborted altogether. The far-reaching consequences of this Climate Summit are far too severe and profound, especially for the 3rd World nations. A global march has been planned for months to raise the necessary awareness concerning this global disaster in the making. 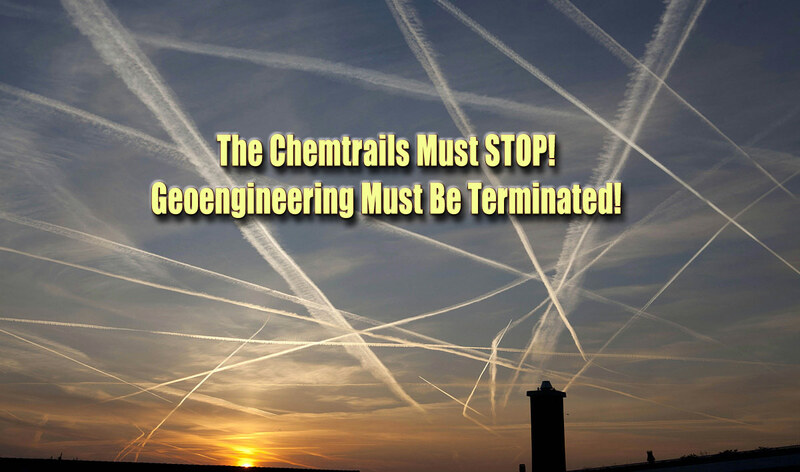 What it really comes down to is the implementation of a clandestine agenda on the part of the ruling elites to create a New World Order in which they have complete ownership of Earth’s natural resources, as well as total control over its climate and weather. The climate conference in Paris will take them closer to that goal than any other initiative of this 3rd millennium. Now the question is: What will the residents of planet Earth do about it? One thing is for certain: We the People cannot afford NOT to respond to this naked attempt to impose what is essentially a worldwide tyranny of awesome proportions. *It should be noted that The Huffington Post was created by the Globalist Cabal to function as their premier Internet-based multi-media news platform operating globally by being available in every nation on Earth IN THEIR NATIVE LANGUAGE. Therefore, when articles like the one below are posted at HuffPo’s recently branded THE WORLD POST, it’s essentially functioning as the lead generator of an important global message from the World Shadow Government, just as The New York Times has done over many decades. The much-awaited 2015 United Nations Conference on Climate Change will continue as planned in Paris. Only now, there are higher hopes. CHESNOT/GETTY IMAGESFrench President François Hollande welcomes U.S. Secretary of State John Kerry in Paris on Nov. 17, 2015. Kerry will return to the city for the U.N. climate change conference on Nov. 30. Climate change advocates are optimistic that last Friday’s terror attacks in Paris have improved the chances of an international climate deal being agreed upon at the upcoming United Nations talks being held in the French capital in less than two weeks. Andrew Steer, president of the World Resources Institute, said on a call with reporters on Wednesday that while there is no way to know for certain what the impact of the attacks will be on the Paris conference, the current spirit of global solidarity bodes well for cooperation. “There is a degree of, sort of, solidarity internationally over [the attacks] that is not exactly unprecedented, but since 9/11, we haven’t seen anything quite like that,” Steer said. “It is really quite astonishing. It is absolutely amazing — the desire to do something in common … If anything, it stiffens the spine in terms of determination to really” reach a long-term climate change deal. 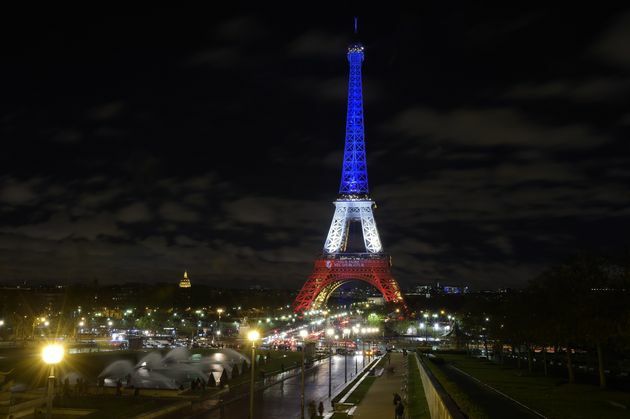 BERTRAND GUAY/GETTY IMAGESThe Eiffel Tower illuminated on Nov. 17, 2015, with the French national colors in tribute to the victims of the Paris terror attacks. Steer’s comments echo remarks made by former Clinton administration climate aide Paul Bledsoe. Christiana Figueres, executive secretary of the U.N. Framework Convention on Climate Change, the body supervising the talks, hinted at similar optimism in a tweet, insisting that the attacks made the conference more relevant than ever. Asked for comment on whether the attacks might affect the outcome of the U.N. Conference on Climate Change, or COP21, the State Department referred The Huffington Post to Secretary of State John Kerry’s recent public remarks and interviews on the Paris attacks. 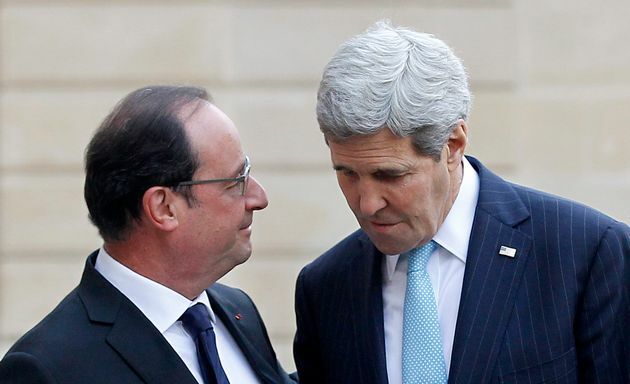 The Paris conference “will be an important statement by the world that no one will interrupt the business of the global community – certainly not despicable, cowardly acts of terror,” Kerry said after meeting with French President François Hollande in Paris on Tuesday. Kerry will return to Paris with President Barack Obama on Nov. 30 to attend COP21, which is the 21st conference of “parties,” or countries, seeking to act on climate change. It will be held from Nov. 30 to Dec. 11 in the Paris suburb of Le Bourget. “This is an absolutely essential step against climate change and of course it will take place,” Fabius said. Even if participating nations reach a long-term climate change agreement at the conference, it is not clear what form it will take. 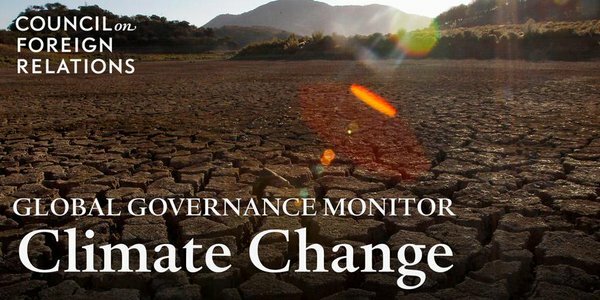 ← HIGH ALERT: Paris Climate Change Summit To Be Cancelled Or Thwarted?